We love camping, and we’re excited to head out to the Oregon Coast to do some camping this week! Although we do sleep in our awesome Eurovan camper instead of in a tent, we still feel like we’re sleeping under the stars, and there’s something special about that. We love to sit outside and enjoy the fresh air and (hopefully) sunshine while we read our books or play games. Walking, hiking, playing bocce ball, bicycling, and picnicking are all natural offshoots of a good old fashioned camping trip. This time, we’ll even spend a bit of our quite time diving into planning that southeast Asia trip we wrote about last week! In addition to the fantastic benefit of being outdoors, camping is a great budget travel option — and there are campgrounds out there to suit everyone’s needs. If you like to really get away from it all, you might like to camp in the backcountry. This means packing in (and out) all your gear on your back. 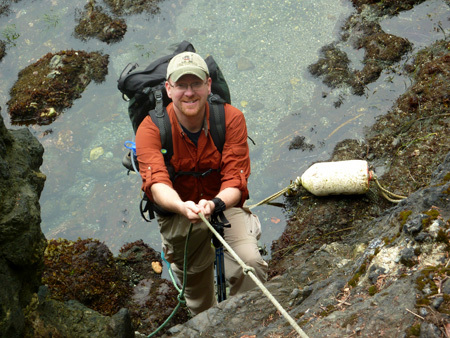 Jeff loves backcountry camping and hiking, and he does so almost every year. While Erin would love to be IN the backcountry and see all the amazing things Jeff has, she’s not interested in carrying a pack, even if backpacking is a very budget friendly option! It’s often free but sometimes requires an inexpensive permit. Depending on where you choose to backpack, you may need a reservation. Want the remoteness of backcountry camping but don’t want to carry all that gear? US Forest Service campgrounds are a good option. You can usually car camp in many USFS campgrounds, but they’re often not as developed as those you’d find in state or national parks. Choose carefully, though: some might require that you bring your own water and many have only pit toilets. Personally, I always pack TP and hand sanitizer for national forest campgrounds. Forest service campground fees are usually inexpensive, and many are free. Few USFS campgrounds take reservations, so plan to get there early, especially over a weekend. 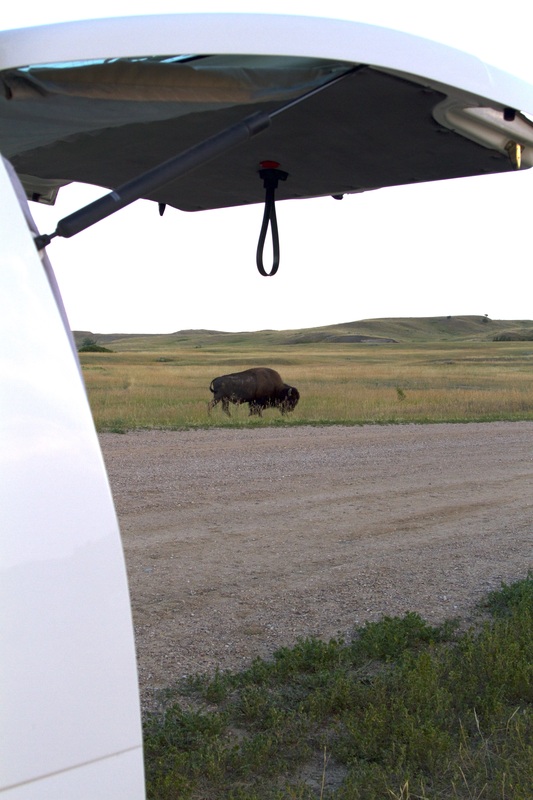 Camping close encounter at Badlands NP! State and national park campgrounds are generally a little less remote (depending on the state or park, of course), but still offer an outdoor travel experience. Many state and NP campgrounds offer the option of a partial or full hook-up site for those with trailers. Most offer restrooms, and many also have shower facilities. Several Oregon state parks even have yurts available, so you don’t even need your own tent! Many state and national parks take reservations, although not all do. We’ve always had luck getting a site without a reservation by just showing up at a national park campground early in the day; I’m not sure I’d recommend that at a state park, at least in Oregon, where state park campgrounds are often booked full months in advance. Most national park campgrounds are still pretty inexpensive. State campgrounds vary but are still pretty inexpensive compared to a hotel, especially for a family. Finally, there are private campgrounds, which offer the most amenities but tend to be the least “wild” of the camping options (and the least budget friendly). 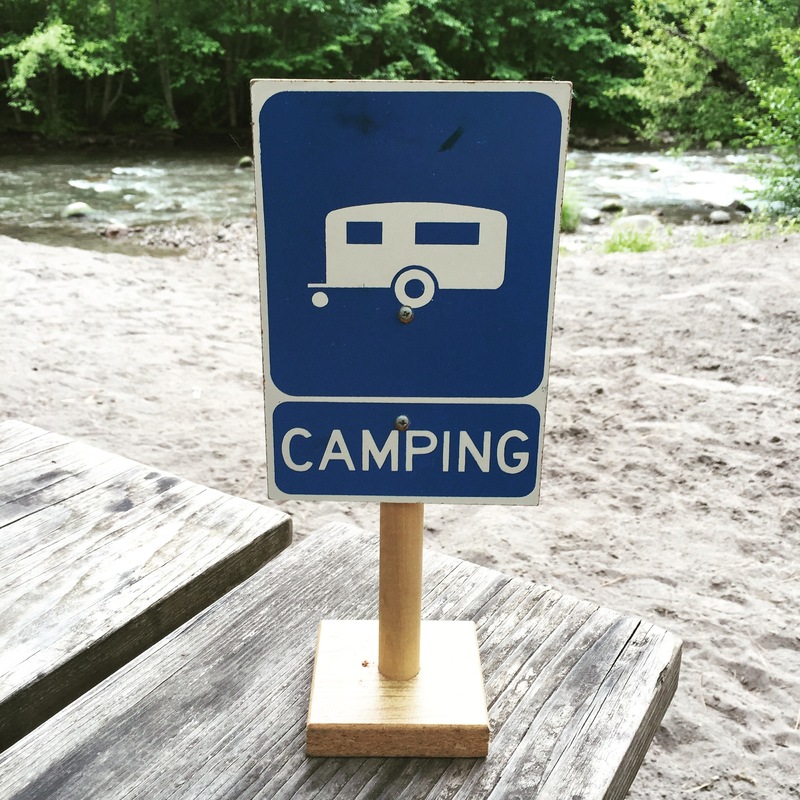 Nearly all private campgrounds offer everything from tent sites to full hookups. Many also have swimming pools and other “entertainment” options like sport courts, playgrounds, etc., which add to their value. And some offer yurts, park model trailers, or cabins for rent. If you’re looking for a taste of an outdoor lodging experience but you’re not an avid “camper,” consider staying in a park model trailer or cabin. One great example is Oregon’s KOA in Warrenton where we enjoyed a stay in a very nice Kamping Kabin. This year we’re heading up to Moses Lake for a family reunion where we’ll be staying in a private campground that has a basketball court, grass volleyball, horseshoes, paddle boats, paddleboards, and even kayaks available! 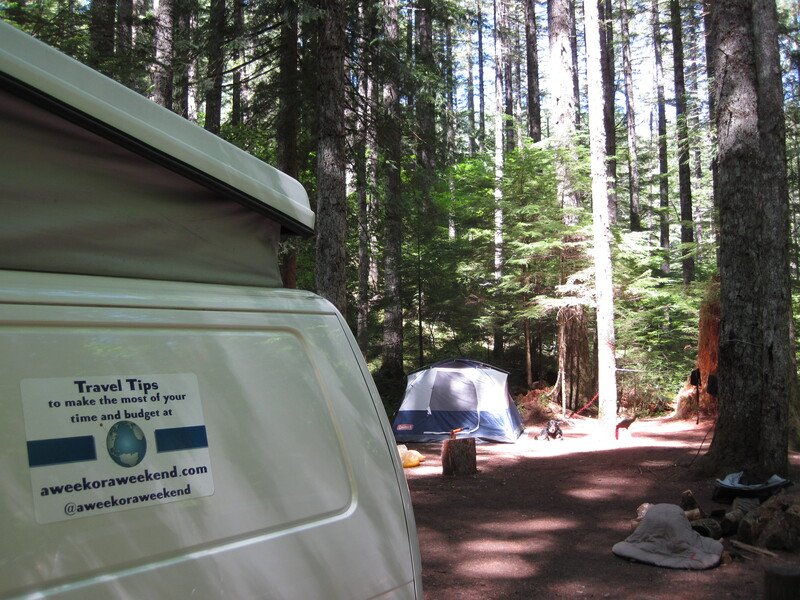 Many private campgrounds also have a small store and laundry facilities. Again, although they are more expensive than other camping options, private campgrounds are still likely to be cheaper than staying at a hotel, and you get to enjoy the outdoors! If you’re looking for a good budget option for your summer vacation, check into campgrounds available near you. Enjoy your next travel adventure — under the stars or not — whether it’s for a week or a weekend!